As a medical professional, every second spent on administrative work takes away from time spent on direct patient care. A medical scribe can help to protect your patient time so you can enjoy a more productive day and deliver the best quality care. Today’s medical professionals juggle many administrative tasks, many involving Electronic Health Record documentation. The accuracy and efficiency information inputted into EHRs is directly correlated to the success and productivity of a practice. 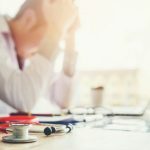 Unfortunately, with the amount of time the documentation into EHR entails many physicians are spending more hours in front of their computers and less time with their patients. Some practices are wary of the practicalities and expense of having a scribe in the room during patient visits throughout the day. Understandably so–on-site or in-house transcription can be disruptive and costly. An off-site medical scribe offers an alternative to hiring an in-house scribe. The off-site scribe works virtually and offers the cost saving convenience of using a qualified scribe when you need one. Let’s take a look at how medical transcription can benefit your practice. How Can A Medical Scribe Help Your Practice? A medical scribe assists a medical professional like a physician or nurse practitioner during patient visits. The scribe writes or inputs relevant information discussed during the appointment. This service helps maintain fresh, accurate records and relieves the practitioner from time spend on clerical and recording tasks. Best of all, the doctor is free to focus on the patient throughout the visit. Medical data like blood pressure, weight, heart rate, etc. Saves time so the medical professional can spend more time offering patient care and less time updating records. Ensures more accurate records since the scribe is 100% focused on taking notes and capturing key details. Frees the doctor up to concentrate on diagnosis and patient care. Helps prevent physician burnout. Many people who choose a career in medicine want to help patients. They often feel disappointed by how much time they spend on administrative tasks. A trained, experienced medical scribe or transcriptionist ensures your practice follows Electronic Health Record efficiencies best practices without keeping specialized staff away from their core duties. A medical scribe may also assist a physician’s assistant, nurse, or other intake professionals for a more efficient intake process. Patients may feel more satisfied with their care when they notice that their medical professional is 100% focused on them rather than taking notes or typing throughout the visit. 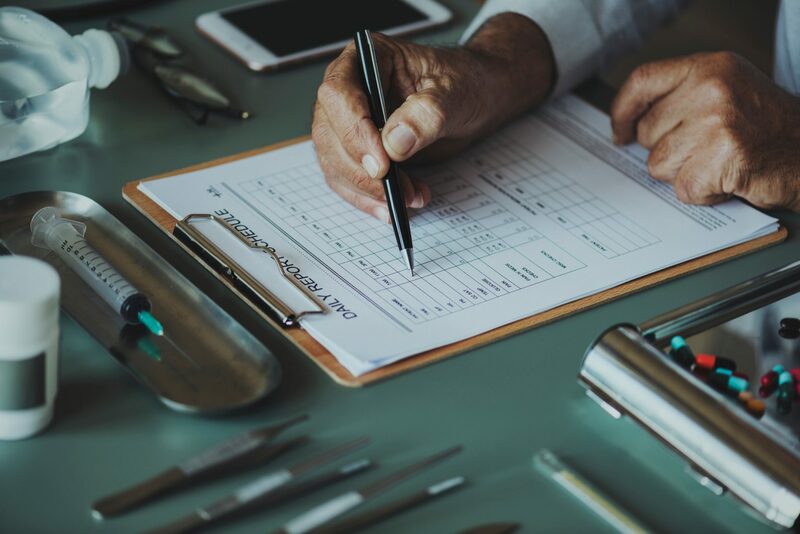 An off-site medical scribe offers all the benefits of any other scribe without making patients feel self-conscious about how many professionals are present during their appointment. Don’t take our word for it, consider the research. Clinico Economics & Outcomes Research published a study that found that physicians in a Cardiology practice improved productivity by at least 10% when working with medical scribes. These physicians could see 9.6% more patients each hour. Over the year, they saw 84 additional new patients and conducted an additional 423 follow-up visits. This resulted in an increase of $1,348,437 in revenue for the practice. The medical scribes cost the practice $98,588, according to researchers. In addition to improved productivity and increased revenue, another study found that a scribe helps prevent provider burnout. In September 2018, JAMA Internal published a report exploring whether medical scribes help improve physician productivity, patient communication and otherwise enhance the physician’s job satisfaction. The study involved 18 physicians. 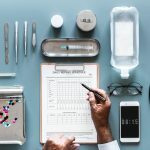 They found that assistance from a medical scribe allowed these physicians to spend more than 75% of the appointment interacting with the patient and less than 25% of the visit using a computer. Physicians with medical scribes also were more likely to complete encounter documentation within the day while the visit was fresh in the physician’s memory. Multiple studies found similar results. The American Board of Family Medicine published a 2015 literature review that looked at findings from five studies addressing the impact of medical scribes on physician productivity. They found medical scribes may enhance efficiency, boost revenue, improve patient-physician interaction, and improve clinician job satisfaction. Of course, these initial findings were based on limited sample sizes. While most physicians would benefit from a skilled, medical scribe it may not be the best option for everyone. When making the decision to outsource, the first question you need to ask is: Will a medical scribe enhance the productivity of my practice? One of the longest-lived stereotypes about the medical profession is the belief that doctors have poor handwriting. In most cases, this is an unfounded and unfair misconception. However, most physicians didn’t invest years of their lives in medical school to spend so much time writing or typing notes. A fast, accurate transcriptionist frees physicians up to focus on their core mission. Chances are an administrative professional types faster and with greater accuracy since that professional invested their energy into developing their record keeping skills. Medical scribes also help with tasks like appointment management or tracking down and inputting lab results. They handle tedious details involved in managing accurate and thorough patient records. Your next step is finding the right scribe once you determine whether your practice may benefit from a medical scribe or medical transcription services company. If you are considering whether a medical scribe is right for your practice, keep in mind that not all scribes are equal. You may employ a medical scribe directly or through a medical transcription services company. Some scribes work on site, while an off-site medical scribe joins practitioners during their visits virtually. More and more practices turn to off-site scribes and transcriptionists to avoid disrupting the patient experience. Additionally, transcription is the most cost-effective way to access highly trained professionals. How do you ensure accurate and efficient Medical Transcription Services? What experience do you have with EHR Integration? How do you ensure HIPAA Compliance and follow other best practices in data safety? Tell me about your familiarity with medical terminology. Any other questions that are specific to your practice or area of medicine. What kind of training do your scribes complete?